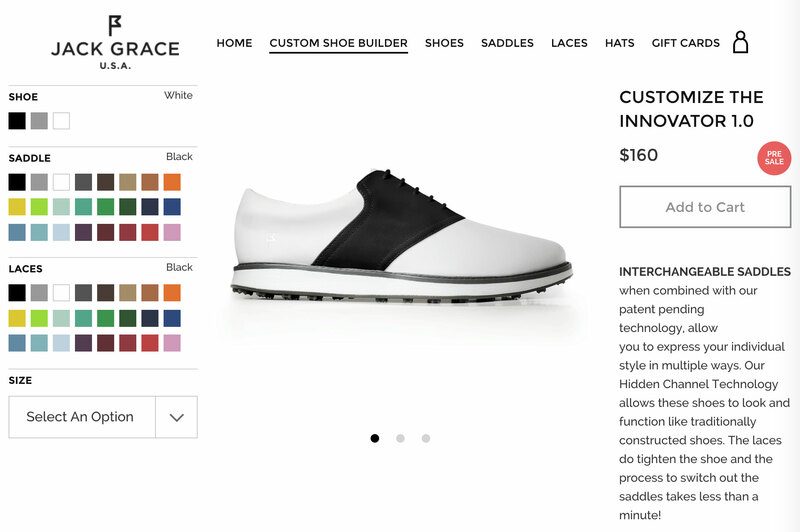 Jack Grace reached out looking to augment their existing Shopify Template with custom built interfaces to help sell their unique product offering. 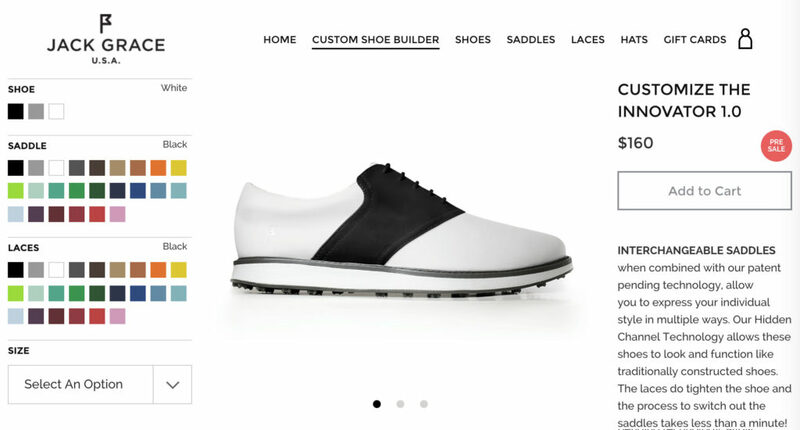 We built an interface where user can make multiple selections to custom build a golf shoe. 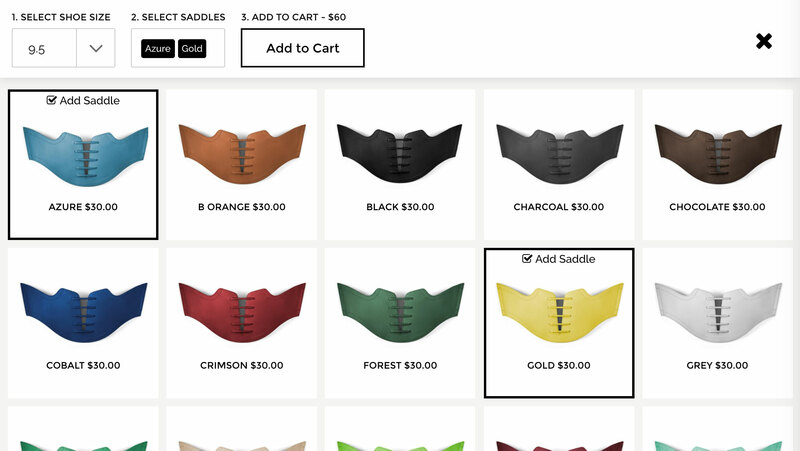 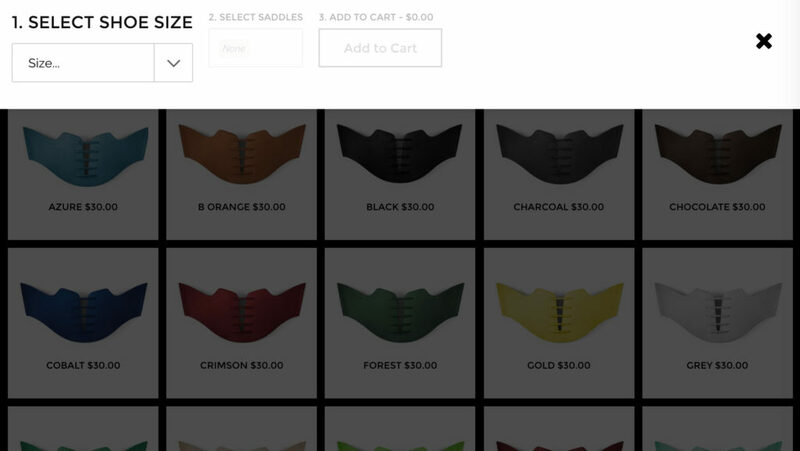 To make it easier for users to purchase multiple colors of saddles, we built an interface using the data in Shopify and filtering by shoe size.